Yoga Pilates and yoga are two of the greatest workouts for not only girls, but guys too. There are amazing health benefits that stem from doing these kind of work outs, so there are plenty of reasons to take it up – aside from the fact you’ll get a great body! If you want to get started but don’t have any of the equipment, you can get everything you need from a sporting and health retailer like Optomo Australia . Keep reading to find out how your body will benefit from undertaking Pilates and/or yoga as your new favourite workout! It’s been discovered that regular yoga and Pilates sessions help to normalise blood pressure and improve cardiovascular fitness and circulation. Yoga gives the heart a work out equivalent to going for a brisk walk. Due to the normalised blood pressure and circulation, your digestive system also benefits – it can help to speed up a system that is usually slow. All of these things work to benefit your nervous system – the improved blood flow helps to calm your body and soothe your nervous system. Most people find that their bodies strengthen a substantial amount after commencing regular yoga and Pilates classes. On average, after doing yoga for 6 weeks (three times a week) most people will then be able to do roughly 6 more push ups and 14 more curl ups. Those engaging in Pilates have found similar results: Pilates is great for strengthening core, abdominal muscles. Pilates is known to be 310% more effective for being able to strengthen and tighten the more difficult obliques. The best thing about these two workouts is that they add strength without adding bulk to your body – which is why dancers love to do them! Yoga and Pilates are great for gaining flexibility due to the structured postures involved. The gentle stretching is great for releasing muscle tension and stiffness too. 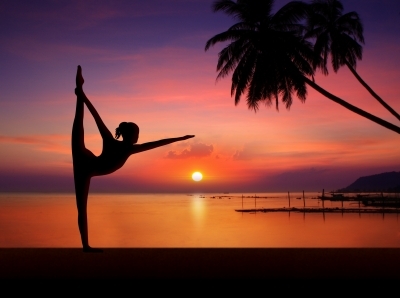 Regular yoga participants are able to see their flexibility boost by approximately 24%. Pilates improves flexibility as well, particularly in areas such as hamstrings, hip and back. As well as flexibility, yoga and Pilates also work to fix your posture and give your body a taller, leaner look. As well as general strength and flexibility, Pilates and yoga have great musculoskeletal benefits. The poses done in both exercises move your joints through their complete range of motion, which aids in mobility and eases the pressure on joints. Reduced back pain is another noticeable benefit of doing Pilates and yoga. It also helps to prevent osteoporosis, and provides relief for those already diagnosed. As Pilates and yoga requires so much focus and control , most people find that they are a lot less stressed after commencing regular classes. As they are less stressed, they find that sleeping is a lot easier and their mood is improved. Yoga and Pilates are also great for people with ailments such as cancer, depression or chronic pain, as they find they become much less fatigued. Pilates and Yoga have so many benefits – so start classes today! You’ll be a regular at your local classes in no time! I really need to do yoga :o This is amazing ! I didn't get on at all with Yoga but am hopefully starting Pilates this Autumn to help my back. I really want to do pilates or yoga as my body creaks but I'm never without a child to have the freedom to do it. Interesting post. I've never really considered it before but it sounds like it could be the perfect kind of exercise for me! I resist really want to get back into Pilates as I feel it does me the world of good! I love the sound of yoga something I have wanted to try for a long time. I used to do yoga quite regularly a few years ago. I really must find the time to restart as it has so many positives.